Some personal toiletries are necessities, like soap and deodorant, and some are for spoiling yourself, like bubble bath and body lotion. Whichever kind they are, the cost really adds up. If you'd like to save a little green on beauty products, you can make many of them yourself. Here are some common beauty products that you can make at home. And not only will you save money, you will also have complete knowledge of the ingredients used in them. That's called a win-win situation. Soapmaking is a traditional craft that has made a big comeback, but did you know that you can also make your own liquid hand soap? You save money when you transform regular hand soap into foaming soap. 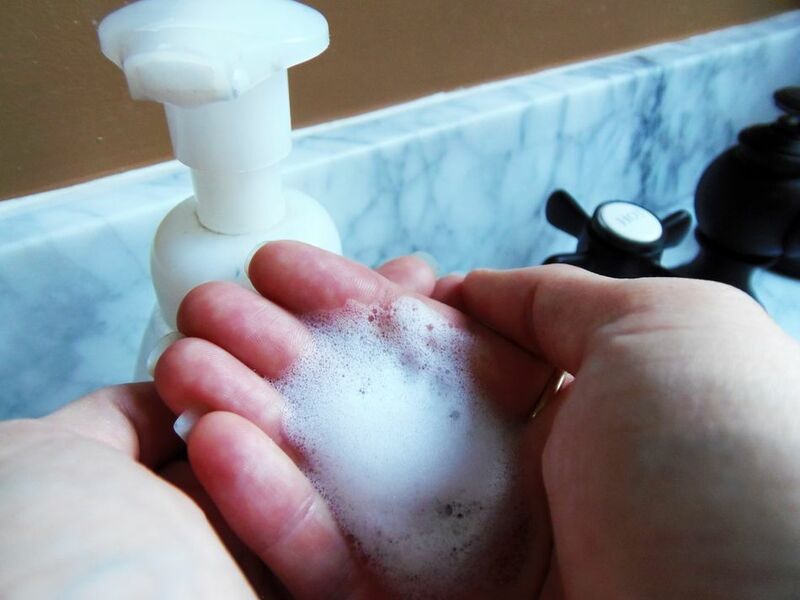 You can also turn bar soap into liquid hand soap and save money. Aftershave is a necessary follow-up to daily shaving. You'll find many great versions on the market, but they are all costly. If you want to save your expensive aftershave, make your own for daily use. This homemade variety has no fragrance, just good antiseptic, and a moisturizer, which is all you really need. What can you use for clean and shiny hair that doesn't have harsh chemicals and artificial scents? Coconut milk, baking soda, apple cider vinegar, aloe vera, and green tea are common ingredients in homemade shampoo. You can even make a dandruff shampoo and one to use as a​ dry shampoo. Hair products can really take a toll on your pocketbook. Try this inexpensive vinegar conditioner, which leaves the chemicals behind. Don't leave all of your money at the salon. You can make your own hair gel and hairspray with these easy recipes. You can ditch the drugstore prices and harsh chemicals with these homemade natural deodorant solutions. Did you know that you can freshen your breath with just a few simple natural ingredients you probably already have on hand? Here is a great recipe for an inexpensive mouthwash. Bath salts and bombs or fizzies can be fun to make for gifts or to hoard for your own use. They explode in the bath and are a treat for kids and adults. If you make your own bubble bath, you can luxuriate in the tub after a long day at work and know you have spent just a pittance on it. This is the epitome of a cheap thrill. Making body lotion, cream and moisturizers might seem a little bit beyond your comfort zone, but with the right ingredients and a detailed recipe, anyone can do it.